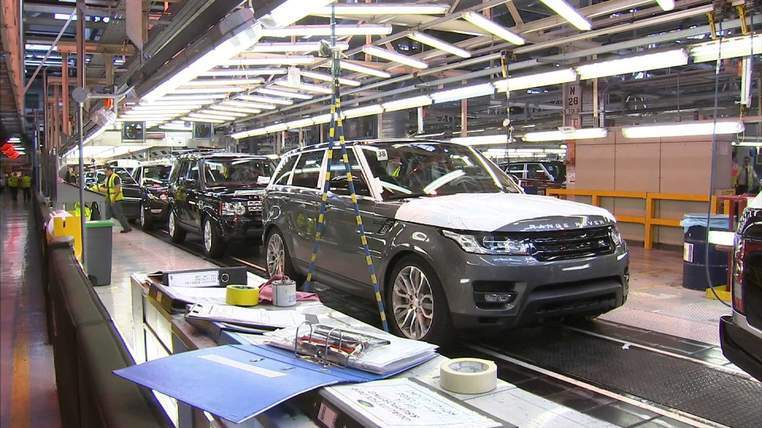 UK car manufacturers achieved their best production since 2008 in the first six months of the year, according to industry figures.The Society of Motor Manufacturers and Traders (SMMT) said 793,642 vehicles were made – an increase of 0.3% on the same half-year period last year. It meant, the body said, that three cars were built in the UK every minute and production volumes were now up more than 50% since 2009. The latest figures for June also showed a reversal in recent trends with production for export up 9% and a 7% fall in the number of vehicles produced for the UK. Total production rose by 5%. The SMMT also noted a spike in the productivity of the industry’s workforce, as the Government seeks ways to boost the value of people to the economy. It said that car manufacturing achieved £100,000 in value added per employee in 2014 compared with £74,000 in 2010 – a 35% increase. The SMMT said the new level was double that of the UK average. Its chief executive Mike Hawes said: “Today’s figures are testament to the ever-increasing demand for the diverse, high-quality range of cars we make in the UK. “The sector is ahead of the game on productivity, with investment in efficient, high-tech manufacturing processes and a highly skilled workforce resulting in huge gains over the past decade.